When it comes to your financial dreams, you want a team who can help you achieve those goals. Our advisors are here to help you plan for your future. 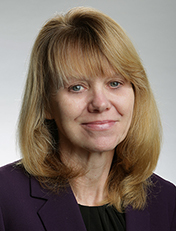 Judy McDonald joined First National Investment Services in 2019. She brings with her over 13 years of experience in the financial services industry. Securities and insurance products are offered through Cetera Investment Services LLC (doing insurance business in CA as CFGIS Insurance Agency), member FINRA/SIPC. Advisory services are offered through Cetera Investment Advisers LLC. Neither firm is affiliated with the financial institution where investment services are offered. Securities and insurance products offered through Cetera (1) are not bank deposits; (2) are not insured or guaranteed by the FDIC, or any other federal government agency; (3) are not obligations of, or guaranteed by First National Bank and (4) subject to investment risks, including possible loss of principal amount invested.